This is my biggest find yet. 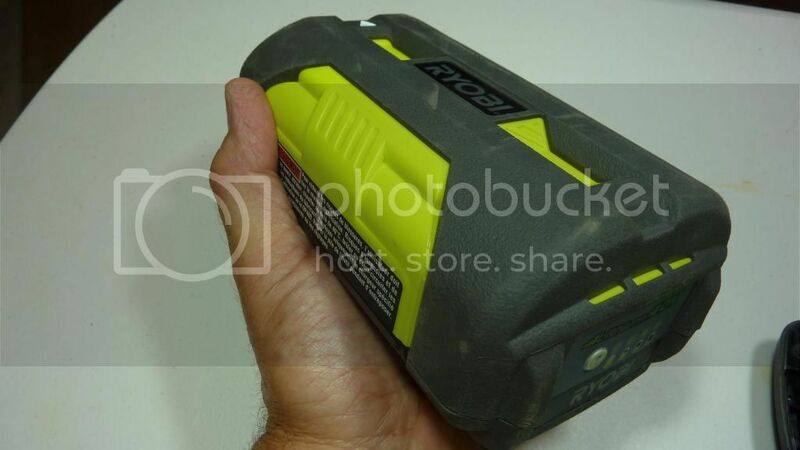 A 40V Ryobi power tool pack. This pack looks brand new, and it could very well be. I find lots of new packs in the bins that are probably placed there because they sat on a shelf too long and self discharged to a point that a charger would not “see” them. Another reason could be that it contained a defective cell, or maybe a defect in the protection circuit built into each one of them. 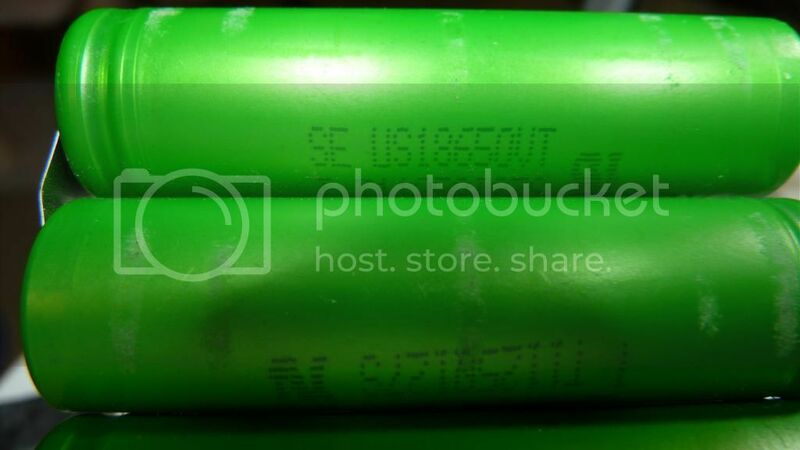 This battery has a charge indicator built into it. Pressing the test button will indicate the state of the charge. In this case, the pack is half full! I wonder what kind of cells are inside? Some of you may have already noticed the sticker in the first pic and have done the math. Boy, this thing sure does look brand new! There they are, Samsung IMR 18650s, but what capacity and how many? Count them if you can, there are 20! I don’t know what to do with this pack. Normally I would check it out and perhaps put it into service. If that was not possible I would harvest the cells that are good. In this case I have no way to test the pack. It could be that it will not accept a charge or it could be that it will not output to a tool. As I neither have the charger or the tool, I can’t test it. The cells are good, that I know, but it would be a shame to destroy a good pack just to harvest the cells. So for now I will just put it aside. It just happens that I do own a 24V version of this line, but that doesn’t do me any good here. That pack contains the same cells, only there are 12 of them in the pack instead of 20. 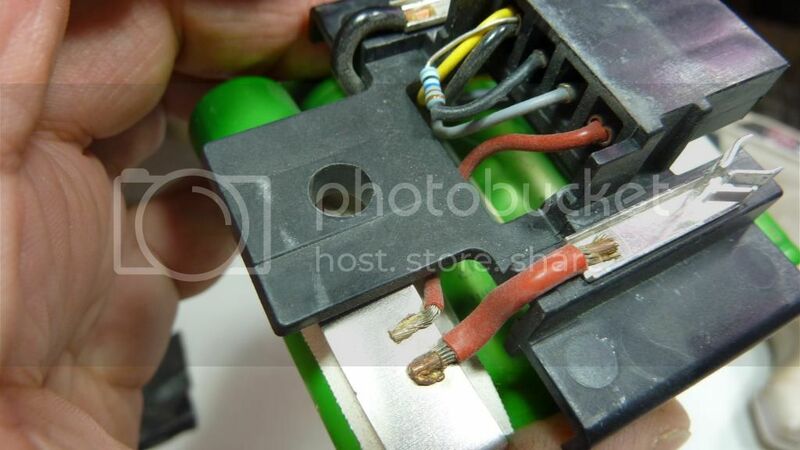 BTW, here is another example of this 40V pack torn down by someone else and they opened it up to find 10 – LG LGDAHB21865s. 10 – 21865s not 20 – 18650s. Go figure. EDIT: wight pointed out in post #4 that his cells are indeed 18650s also. Lucky find, congrats! Where did you find it, Lowes, HD? I only ever find dead alkaline batteries. Congratulations on your find. Who’s recycling bin do you go through, and how did you go about getting started rifling through it? EG did you figure “better to ask forgiveness”, or did you find a manager or something and ask up front? Home Depot sells Ryobi products. This pack could also have been from a display. 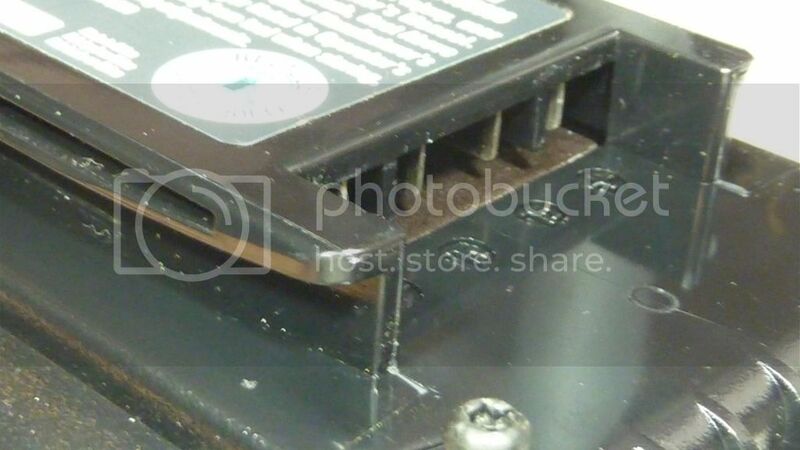 Sometimes when they breakdown a display they chuck the batteries. Sorry to hear that, don’t feel too bad though, I know a guy that eats cold, dead fish. I should of known better, I have come across those very same cells before. On the recycle bins I used to bring something to deposit, in my mind that gave me the “right” to be there. Then I would just help myself. Now I just walk up to it in a purposeful way. No one has ever stopped me. The first time I ever attempted it, I asked an employee for permission. He replied “Oh, why did you do that to me”. I took that to mean that he couldn’t say yes, and didn’t want to say no. In other words, don’t ask. Can’t beat a free pack for pulling, mind if I put it in the community pull thread? When i posted this and mentioned the other cells in the “chainsaw” guy’s pack, I thought about the other thread. 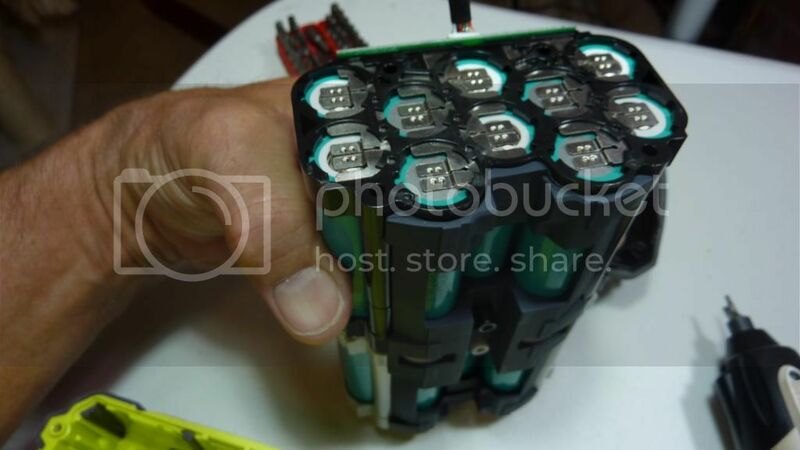 Keep in mind that as far as what brand cell is in such and such power pack can vary. In my experience they can vary all over the place. Especially drill packs. 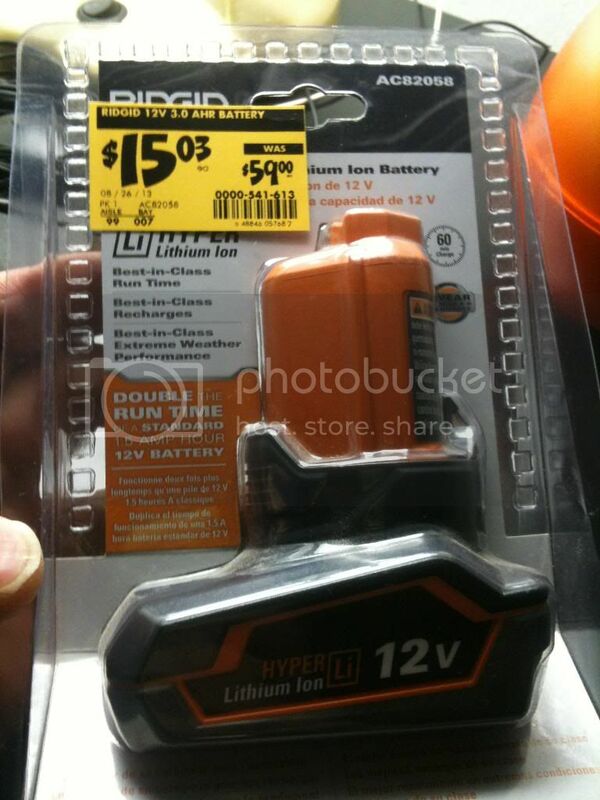 they have free battery packs at Home Depot? where can i find them? I wonder why the owner threw it away, even though it’s half full? Nice finds. 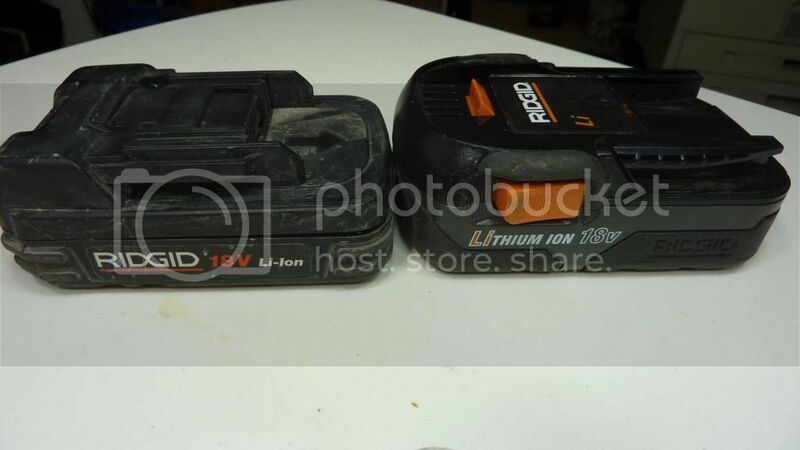 My best find so far was 2 Ridged Li-ion 18v packs. I've been using them for over a year now and they still work great. I have no idea why someone tossed them into the recycle bin. Nice finds. 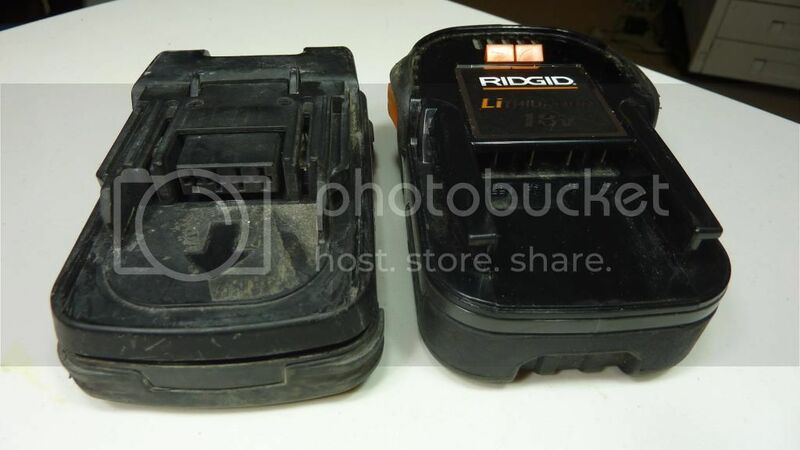 My best find so far was 2 Ridged Li-ion 18v packs. I’ve been using them for over a year now and they still work great. I have no idea why someone tossed them into the recycle bin. See, there’s gold in them yar bins! 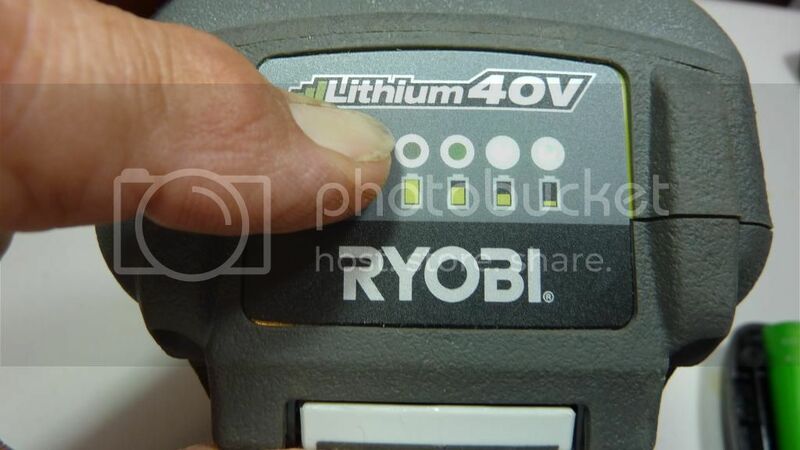 Just yesterday in the same bin as the Ryobi 40v, i recovered 2 – 18v Ridgid packs. But they are NOT compatible with my 18v Ridgid. 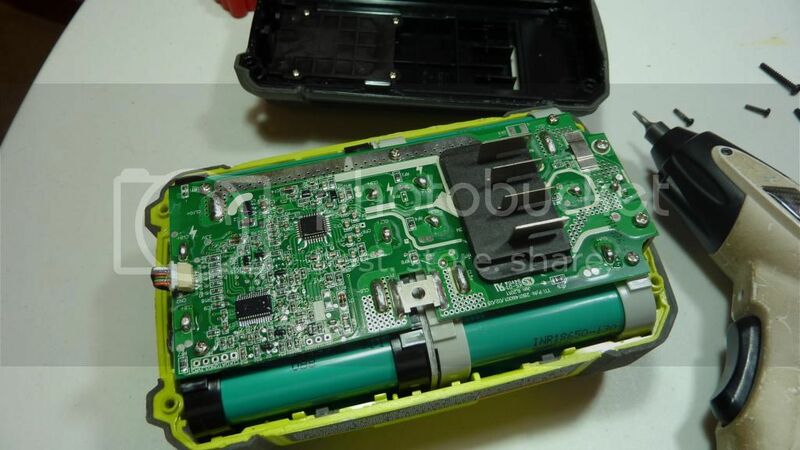 The packs were made in Germany and contain Sony cells. Never seen them before in a Ridgid. I think HD threw it away. Just one more reason to look forward to Pittsburgh. In each picture the German pack is on the left, my compatible pack is on the right. Notice there is NO sophisticated balancing circuit in the German pack. I suppose it is possible that it is in the charger or the tool itself. 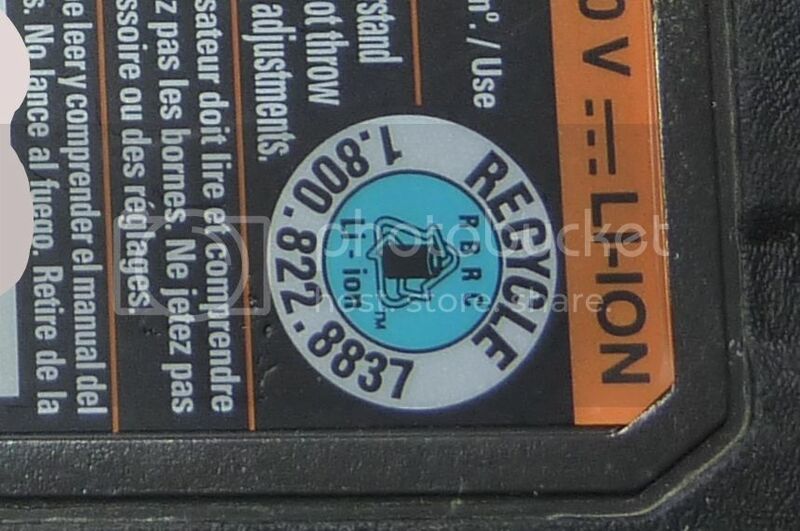 If you would like to know where the recycle bins are, do a Google search of the 800 number on battery packs. Man, that pack is scary. 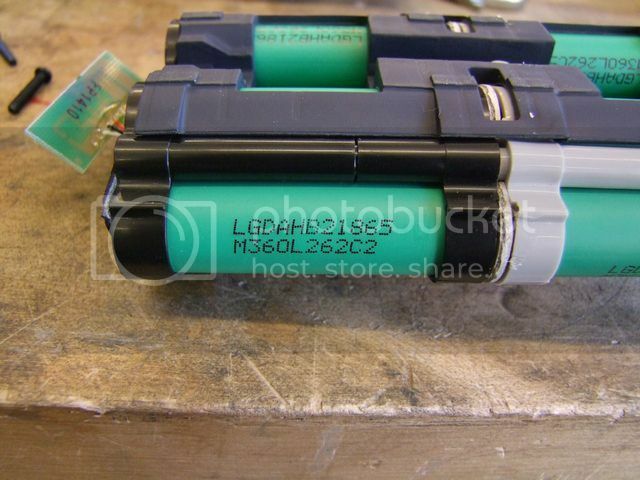 I gotta watch out for that in my future Ridged battery acquisitions. Thank you for sharing dchomak. The bins are usually in the front of the store near the Customer Service desk. Most stores frown on people pulling packs out of them. I've been asked if I needed any help several times while digging. So you need a good excuse like your contact lens fell out. Usually confuses them since I wear glasses. If there is not balance harness then the pack will not be balanced. A balance harness taps the connection between EACH pair of series cells, plus BAT+ and BAT-. 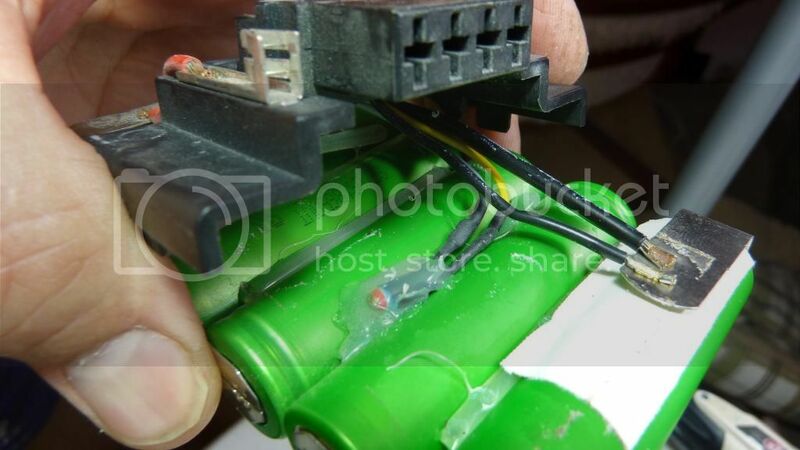 Normally the BMS in a battery pack would have the harness directly attached to it. 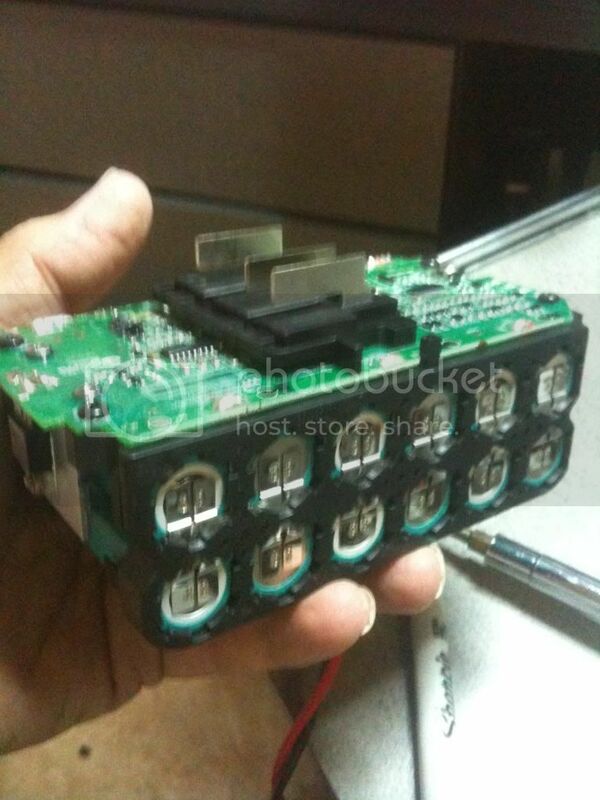 All of the simple 3 cell, 12V Li-ion packs I have seen work that way. 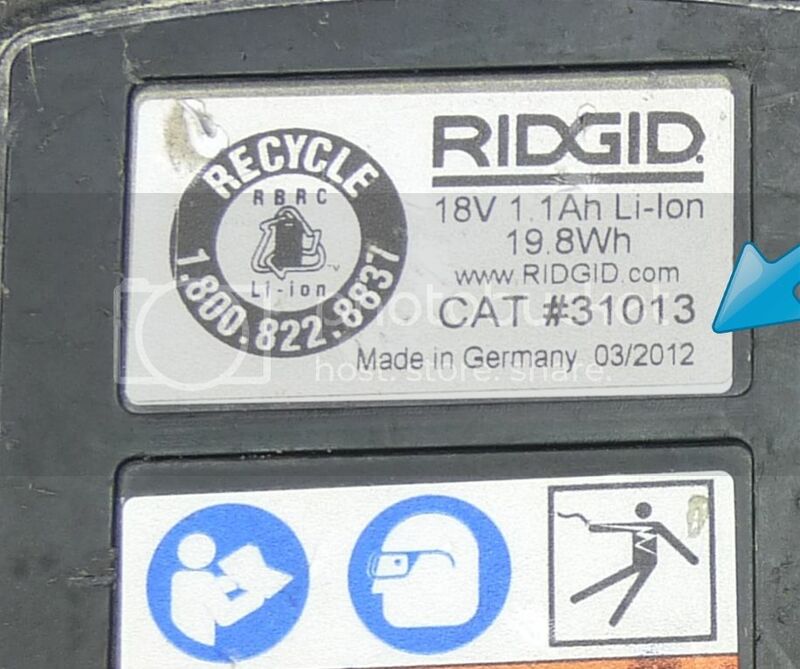 My 12V Ridgid is and when I upgraded to a 6 cell 12V bat pack it had a BMS in the pack. IMA4, no need to worry, the German pack will not fit your Ridgid. Oops, I didn’t understand what I was looking at from the original pic. I agree, BMS in the charger. 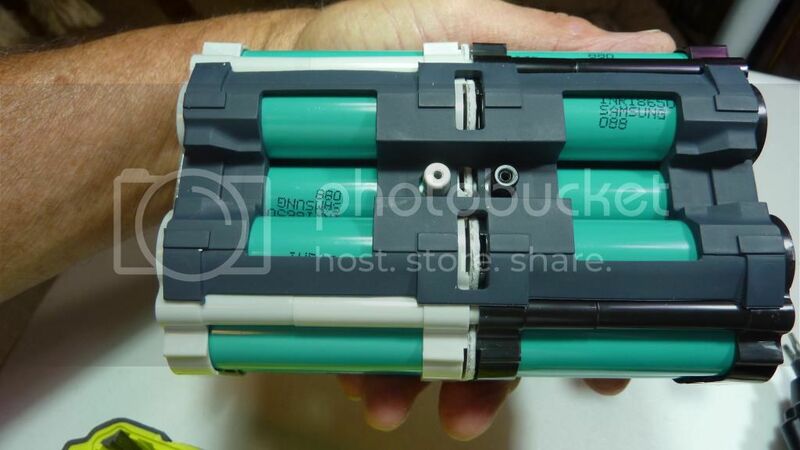 FWIW, BMS on battery is safer IMO (I’m sure we all realize that). 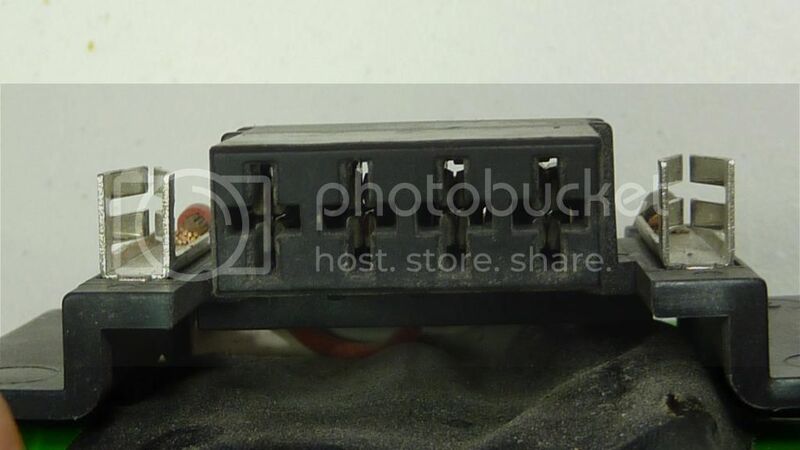 You have 10 cells in series, you would need at least 11 connections to the charger if the BMS was in it. My English isn’t perfect but I’m trying to improve it. If you see something that doesn’t sound right or is just plain wrong, please feel free to point it out! In fact I believe that some packs will actually “Brick” themselves when something goes wrong. I saw a reference on the internet once on how to un-brick a Makita pack, but it was removed. There seems to be very little info on the subject. 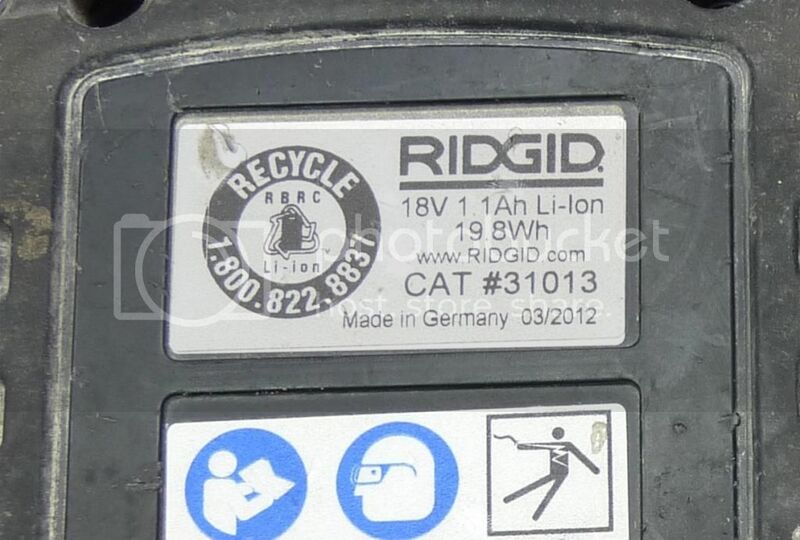 That is right, but that pic is of the German 5 cell Ridgid. Sorry, I switched which cell I was talking about. 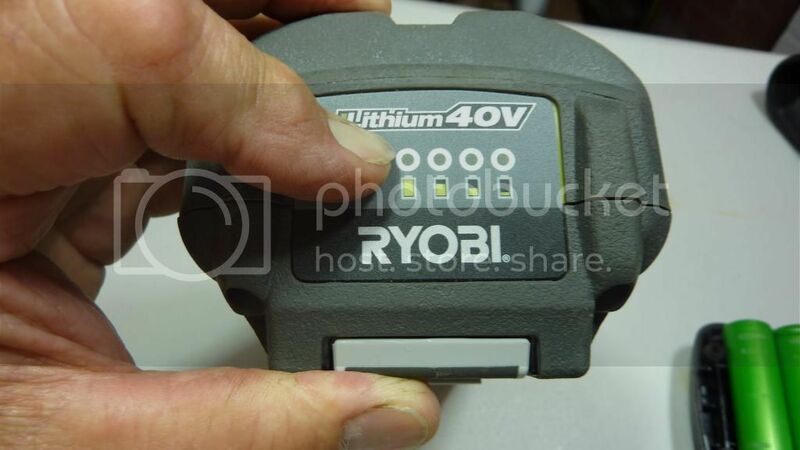 You are correct, the 40V Ryobi is 2P10S and the BMS is in the pack. And it’s a mother. 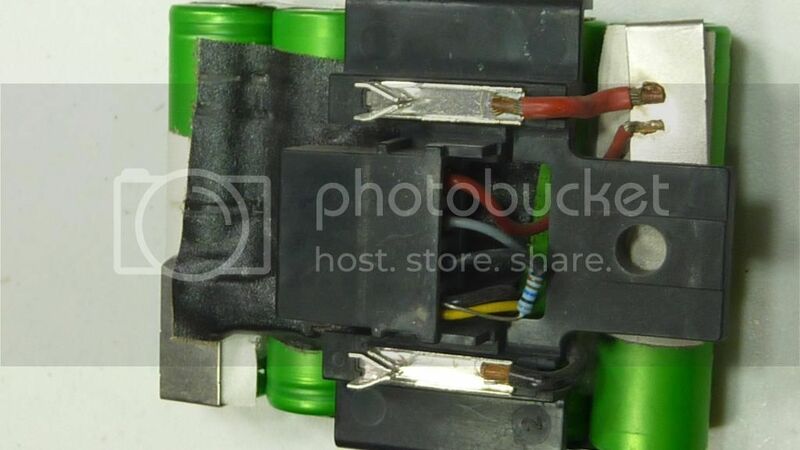 As the series cell count goes up, with all the necessary connections between the pack and the charger, it makes more and more sense to include the BMS circuit in the pack. Safety issues aside. 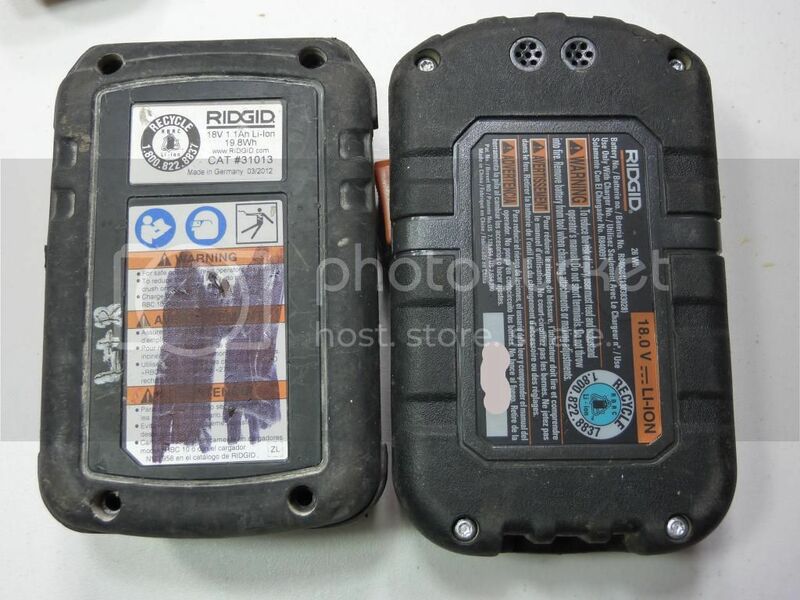 Can you check on that Ridgid pack if there are balance leads going to each cell? 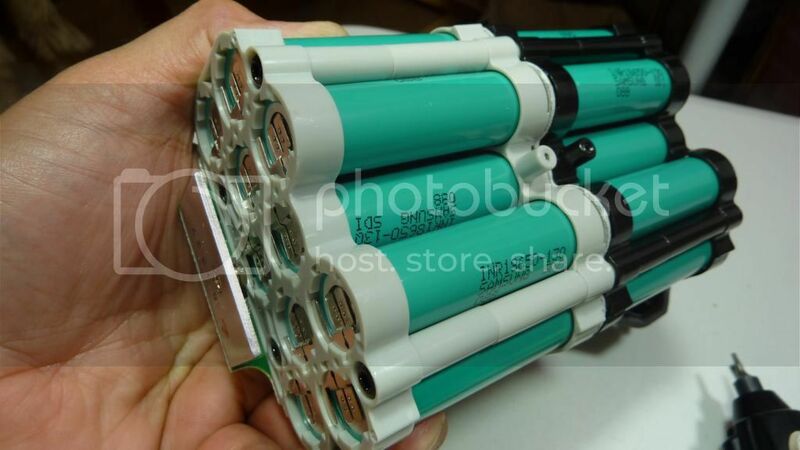 I recently opened a Makita pack found in the bin and found 10 Sony 1600mAh (5S2P) green cells like yours (US18650V). Can you confirm you have the same cells on the following pack pack please? 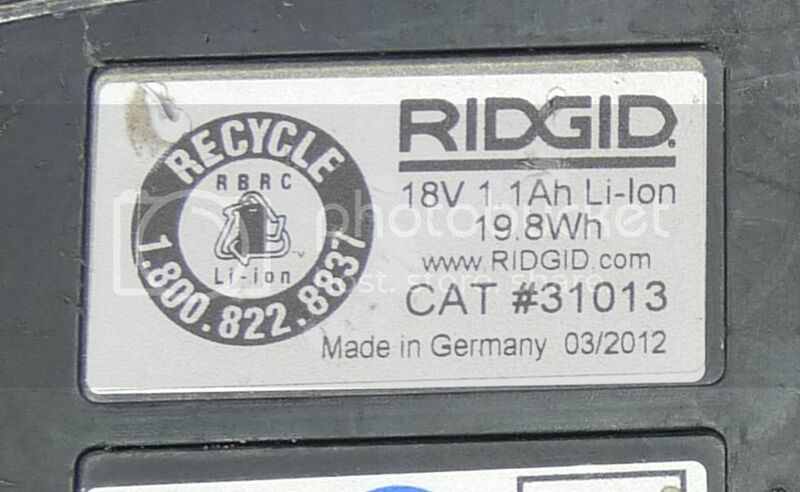 There are no balance leads to each cell on the German Ridgid. That’s very interesting. 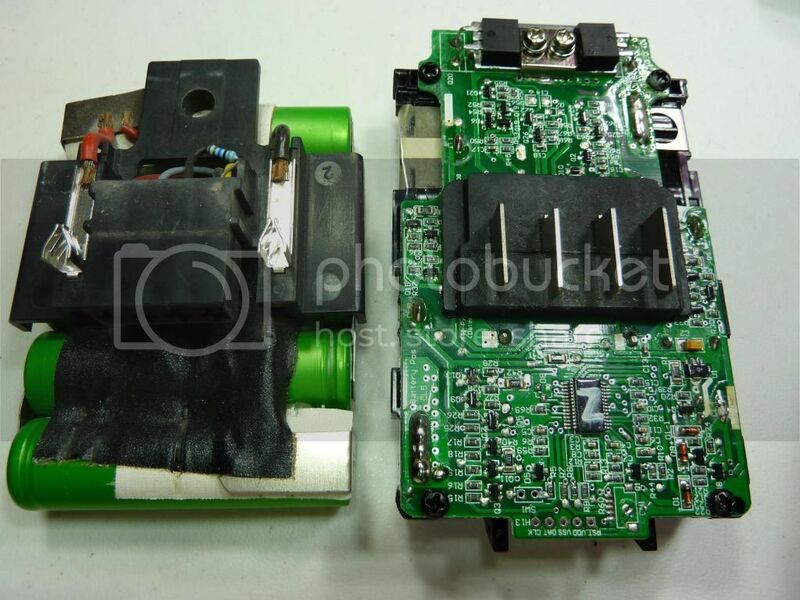 It seems that these sony cells are self balancing. I did a few tests and if you charge them to 4.2V they’ll come down to 4.12V after a few hours. If you charge them to 4.1V they stay at 4.1V. I believe that this is the reason why they don’t need balancing leads. Interesting indeed. Thanks for the info. Hey guy. Please don't trust those any cell to be self balancing with other cells. You have a case were all you cells happen to be about the same condition at this time. A balancing circuit is for when a cell or cells start to deteriorate faster than the others in the pack. I’m just experimenting, not trusting anything or doing unsafe things. But how do you explain the fact that the makita pack I got doesn’t have balancing leads? 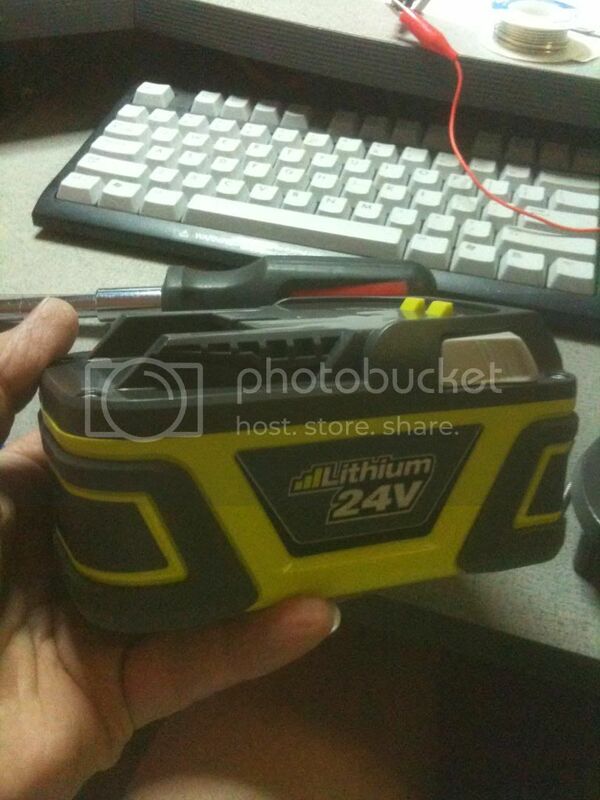 For a 5S lithium pack it really is a must… Unless the cells self balance. Hey guy. Please don’t trust those any cell to be self balancing with other cells. You have a case were all you cells happen to be about the same condition at this time. A balancing circuit is for when a cell or cells start to deteriorate faster than the others in the pack. Some cells are more disposed to this kind of treatment than others. Remember, NiMH and NiCad cells were not balanced – and it’s not because they don’t get out of balance. With a hardy enough cell I think the normal strategy is to overcharge the whole pack in series and let the excess burn off as heat. A123 M1 cells (a LiFe chemistry cell) can be charged in that fashion. I can't. Seems crazy to me. Of course, some laptops lacked adequate safety features until some hurt people. Those cells don't appear to have any protection circuits on them. Makes no sense to me, but I admit that I'm no expert by any means. I didn't mean to imply you were doing anything dangerous or wrong. I’m… not really sure that you’re correct about the laptop safety features thing. When I think of laptops that hurt people I think of modern machines which did incorporate BMS’s. Sony has been in the news once or twice in recent years, and it wasn’t due to a lack of BMS.